Finding your Solemate Just got Easier! When you step onto the court, your shoes are the first thing that people notice. What you wear on your feet says a lot about you: It can give a hint to your play style, personality, and your fashion preferences. More importantly than how you look (if that is even a thing) is how comfortable you feel in the shoes, and how they help you win! We are going to look at different styles of shoes to help you decide which shoe is best for you. There are three main types of tennis shoes. Durable shoes to get you through those long seasons, lightweight shoes to boost your speed on the court, and comfort shoes to give your feet an easy time. 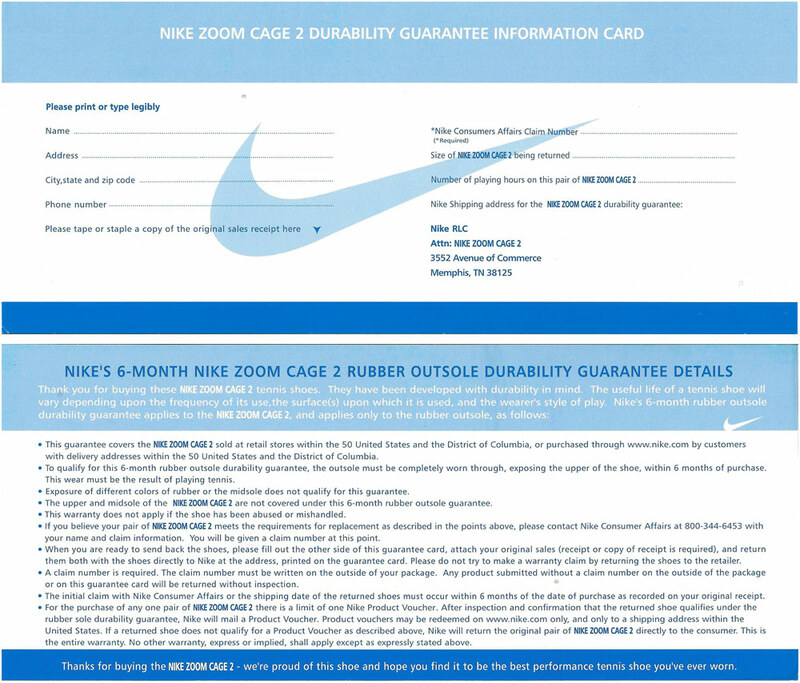 Nike has the Zoom Cage 2 Tennis shoes, which are great shoes for any surface. Whether you play hard court or clay, these shoes have the traction to keep you stable during any aggressive movement. The drag-on cage keeps your toe protected, while the mesh layer keeps things breathable and light. The Zoom Unit gives you an extra boost of comfort and cushion in your heel, usually reserved for Nike’s elite running shoes. A 6 month warranty makes these shoes a wise purchase for those who play multiple times per week. The New Balance 896v1 tennis shoes feature a the same 6-month Durability Guarantee with a substantial outsole, but still feel responsive on the court. They won’t feel clunky or clumsy right out of the box. The midsole is made from a high-tech foam material that forms to your foot, making sure that you feel stable when you make side to side movements or lean to the side to pick up a shot. New Balance is such a a great brand for running, and they definitely know how to translate that technology into a court shoe that’s going to comfortably last for more than one season. Any durable shoe should feature a reinforced toe for the army of tennis toe draggers! The Asics Gel Resolution 7 Tennis Shoes are ready to report for protection duty with the PGuard Toe Protector technology. With gel technology that forms to your foot to provide comfort and stability, this shoe also made it to our list of most comfortable shoes. Even though these shoes are made to last more than one season, Asics understands that looks are important, too. They consistently put out new colors of this shoe, so that you can always find a color to match your favorite outfit! First and foremost, let’s take a look at the brand new adidas Adizero Ubersonic 3 tennis shoes. Because of plenty of outrage from the adidas-playing women, these shoes earned a much needed redesign in 2017. Now these shoes have a one piece, bootie construction that allows for maximum stability. Not to worry though, these shoes are still as lightweight as last year’s model, actually weighing on average the exact same amount. Nike has a reputation for its sneaker technology, and the Nike Zoom Vapor 9.5 shows it off in full style! There’s a reason that pros like Venus Williams and Petra Kvitova use this shoe on tour. It’s specifically designed to fit a woman’s foot, and is perfect for match day play! The Zoom Unit in the heel helps cushion your foot, but also brings the foot closer to the ground enabling aggressive movement. Nike takes the best technology from their running shoes and translates it into a court shoe that will keep you on your toes! If you want to feel like your feet are being hugged by Italian shoemakers, then try out the brand Diadora. They offer ultimate comfort with maximum cushion in the heel and metatarsal regions of your foot. The Diadora Women’s S Star K VII AG shoes have a low profile to keep you connected to the court, yet keeps your foot supported completely! If you struggle with shoe odor, no worries! The antibacterial lining in these shoes keep them feeling fresh long into your season. The super soft Kangaroo leather upper is lightweight, breathable and water resistant! The Barricade Boosts are a fan favorite that are quickly being adopted by the pros as well. With the most innovative midsole cushioning on the market, you will feel like you are walking on a cloud while you are on the court in these shoes. Recenlty endorsed by WTA superstar Caroline Wozniacki, these shoes are taking the courts by storm. Maybe arch support is not as important to you as cushion – Nike has you covered with the Lunar Ballistec 1.5. They’ve built this shoe with cushioning all along the underside of your foot, but especially in the heel and ball area. Overpronaters everywhere can rejoice because this shoe has enough support to keep you comfortable on court. The XDR Rubber Outsole is thick enough to last the entire season without worry – in fact, this shoe comes with a 6 month outsole warranty! These are just some styles to choose from. Tennis shoes are a big deal to us, and we want you to find the perfect pair for you. Visit tennisexpress.com and check out all of the great shoes we have to offer! ← Hot Looks at the Miami Open! !